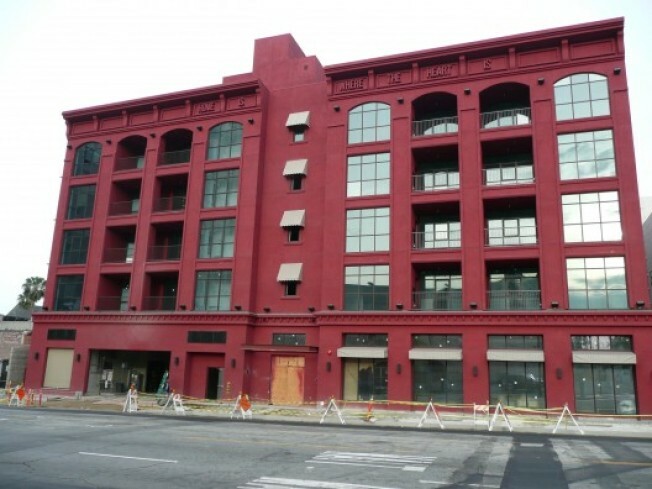 That spring 2009 opening for Palihouse, described as a "boutique urban lodge" (think: extended-stays for celebs, people who want to avoid traditional hotels), has been pushed back till this summer, according to a spokesperson for the Hollywood and Vine development. Here are the latest construction shots; the feel-good tagline at the top of the building reads: "Home is where the heart is.” The developer behind this project is Avi Brosh, who had originally planned four Palihouses (one has already opened in West Hollywood; the remaining two were planned for Venice and Palm Springs), but it's unclear what the status of the other two projects. What is clear: Red! Cardinal red?